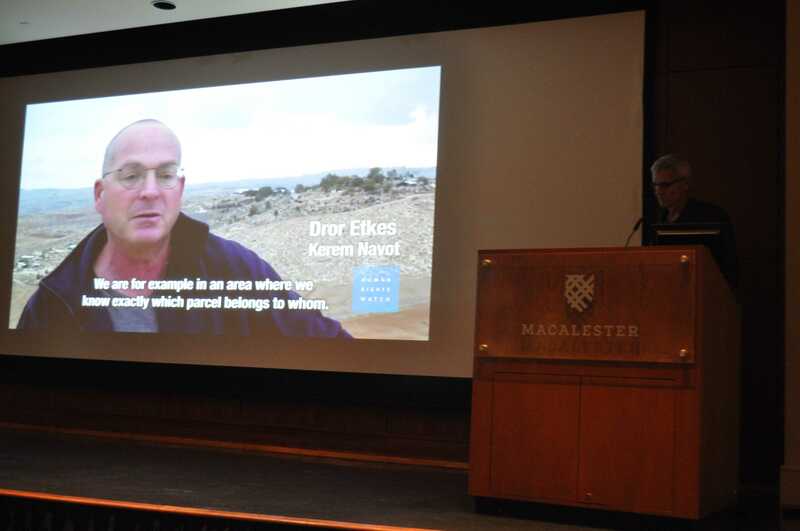 On Tuesday, Dec. 4, Eric Goldstein, deputy director of the international NGO Human Rights Watch’s Middle East and North Africa Division, visited Macalester to give a presentation on his organization’s work in Israel and Palestine. The presentation, sponsored by Macalester Students United for Palestinian Equal Rights (MacSUPER), focused on several major Human Rights Watch initiatives in the region. Goldstein made reference at the beginning of his talk to Human Rights Watch’s “name and shame” strategy, which involves reporting on violations of human rights around the world, publicizing its findings and pushing for change. Goldstein went over five major areas Human Rights Watch has worked on in Israel and Palestine: Israeli settlements, torture and abuse committed by Hamas and the Palestinian National Authority (PA), the situation in Gaza, LGBTQ and women’s issues in Palestine and questions of what legal framework to use when dealing with Israel’s conduct in the region. Throughout his talk, Goldstein recognized that working in a place with many complex human rights concerns can be difficult. He stressed the important but limited scope of work that Human Rights Watch is able to complete. Goldstein pointed to the current political climate in and leadership of Israel and Palestine as presenting a particular challenge for Human Rights Watch. With this in mind, Human Rights Watch takes a different approach to lobbying against the Israeli settlements in the West Bank: pressuring companies to stop doing business there. “If a business is there, they’re helping to sustain the settlements, they’re making them economically viable and they’re complicit in the human rights abuses,” Goldstein said. Human Rights Watch has had some success with this tactic. Airbnb, which had 139 rentals available on land in West Bank settlements that had previously belonged to Palestinians, agreed to delist the rentals in settlements and is in the process of writing a policy for how it will handle similar situations globally. 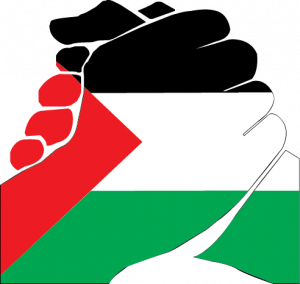 Goldstein then turned to discuss the human rights abuses of the Palestinian National Authority, the interim government of Palestine established in 1994, while acknowledging the questions this could raise. But Goldstein said that his organization feels that it cannot ignore the situation within Palestine, where the arrests and torture of political dissenters by governing authorities is common in certain areas. Eric Goldstein, deputy director of Human Rights Watch, spoke at Macalester on Tuesday. Photo by Malcom Cooke ’21. Human Rights Watch has attempted to work in Gaza as well, though Goldstein said the group faces further difficulties there. They have one staff member working on the ground in Gaza, but, because of the limited travel allowed in and out of the region, other members of the organization haven’t been able to get in. Human Rights Watch did manage to get their staff member in Gaza permission to travel to New York City as part of her work with the group, and documented her trip through a widely-viewed video. Human Rights Watch has worked on issues of LGBTQ and women’s rights in Palestine as well. This, too, is a topic that can raise questions. Goldstein acknowledged the potential hazard of focusing on LGBTQ and women’s rights in Palestine as a Western organization, as well as the problem of “pinkwashing” – the Israeli government’s tendency to point to their relatively progressive policies on LGBTQ issues to deflect attention away from their human rights abuses in the region. But Human Rights Watch’s rationale for addressing those issues, like its rationale for addressing the human rights abuses by Hamas and the P.A., has to do with the impact on people’s lives on a day-to-day basis. Human Rights Watch has collaborated with Palestinian NGOs to lead workshops on how to address homophobia in the state – and how also to critique homophobia in Israel as well. “The Israeli police use the knowledge that someone is suspected to be gay or is gay to blackmail that person into collaborating,” Goldstein said. All of these questions and issues, Goldstein said, are framed by the question of what legal framework should be used to approach political issues in Israel and Palestine. Since the Palestine is technically under occupation, the issues have been looked at through war conventions. That, Goldstein said, might not be the best approach. The current legal framework does have some benefits, he said – the Geneva convention makes the Israeli settlements illegal, for example – but the situation in Israel and Palestine cannot continue to be thought of as a post-war situation.